CompX eLocks are the only products available that provide electronic access control and temperature monitoring for a wide variety of applications including nurse's stations, pharmacy, laboratory, and patient rooms. CompX eLocks are the only products available that provide electronic access control and temperature monitoring for a wide variety of applications in healthcare facilities. 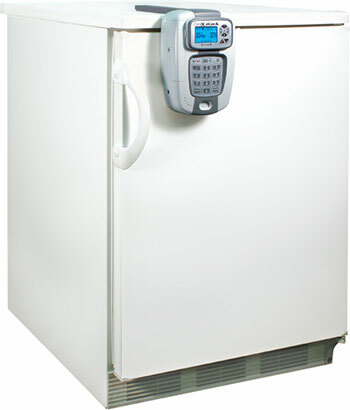 Both cabinet and refrigerator / freezer eLocks are installed various departments. 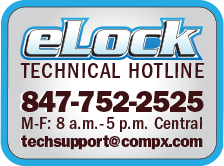 Since the eLock is keyless system, there are NO keys to lose or share. 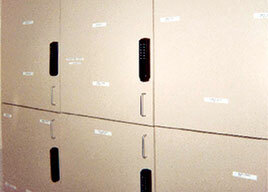 The cabinet eLock is an ideal solution for restricting access to cabinets containing narcotics, medicines, medical supplies, patient records and many other applications. 100 Series eLocks are available with up to 250 unique user codes, while the 300 & 200 Series eLocks have the ability to program up to 3,000 unique user codes. eLocks equipped with ID badge readers allow nurses and other authorized users to quickly gain access to the cabinet and since all eLocks have a spring loaded latch, simply close the door or drawer – no need for cumbersome keyed mechanical locks. 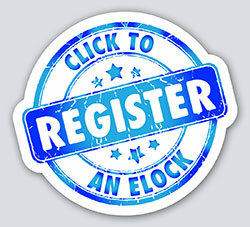 The eLock also provides a comprehensive audit trail of access attempts - including date, time and user name – which can be viewed with LockView software. The eLock with standard temperature monitoring, monitors internal temperature of 100°C to -40°C; ultra-low temperature monitoring, 100°C to -100°C. Records up to 500,000 data points and provides programmable charts, graphs and reports - all data history is archived and easily accessible. 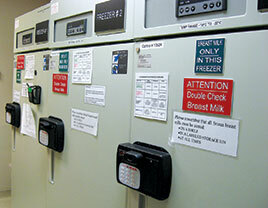 Events such as out-of-temperature-range, alarms at the unit and through a facility's network (if so equipped) and allows administrators to enter notes on action taken. For example notes for an out-of-temperature-event will show up in the temperature log and can be reviewed federal and state agencies as well as Joint Commission.